New York Pentagram partner Michael Bierut has rebranded Slack, transforming its multi-coloured hashtag logo into a new shape with a “simplified” colour palette and “refined” graphic elements. 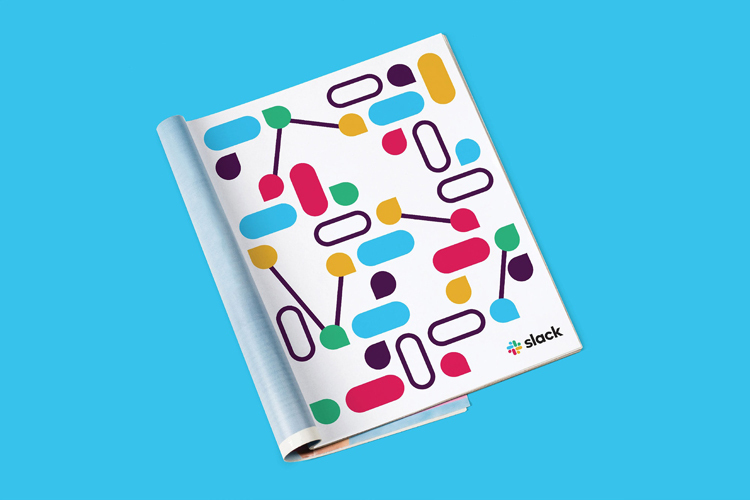 Slack, which launched in 2013, is a program used in workplaces by employees to communicate and collaborate on different projects. Its hashtag symbol has formed a key part of the brand since it was launched, given that the key is used extensively across the platform to share work, in the form of tagging topics, people or channels within comments. This is the first major rebrand Slack has had in its six-year existence, completed by Bierut’s team alongside Slack founder Stewart Butterfield and the company’s in-house design team. The slanted hashtag symbol has been straightened up, and its overlapping, coloured graphic lines that make up the hashtag have been removed. The translucent filter effect of the overlapping lines, which had resulted in many different colour shades, has also been dropped. Instead, the new symbol is composed of eight, separated shapes, based on two geometric forms, a speech bubble and a capsule. These are composed into an overall shape that looks more like an asterisk or pinwheel than a hashtag. Pentagram says it has “retooled” the hashtag symbol – also known as an “octothorpe” shape – to create “consistency” across Slack’s platforms. The two graphic shapes used in the new symbol will be “extracted” from the logo, the studio adds, and used in different ways across communications, such as to create a set of icons and illustrations across print advertising posters. 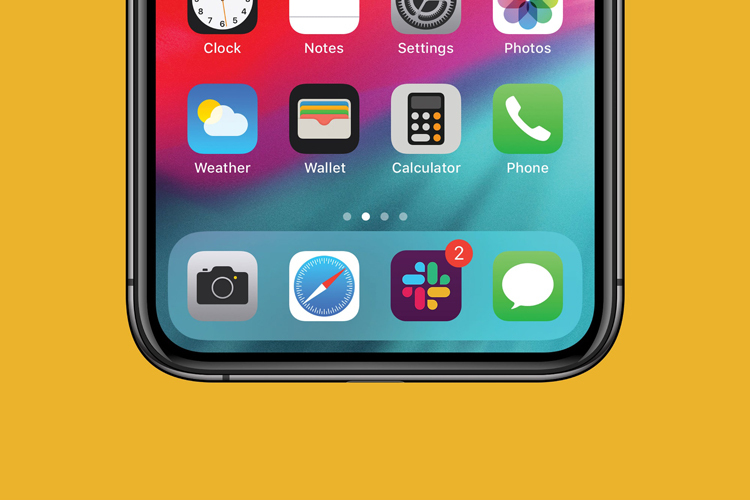 The speech bubble has been chosen to exaggerate Slack’s purpose of providing “communication and connectivity”, says the studio. Four, opaque colours of pink, blue, green and yellow have been incorporated into the symbol, and this icon sits next to the logotype, which is set in black, in an all-lowercase sans-serif. The four colours have been reduced from a previous palette of 11, and aim to be “more manageable”, work better against any coloured background, and look better on screen, says Pentagram. 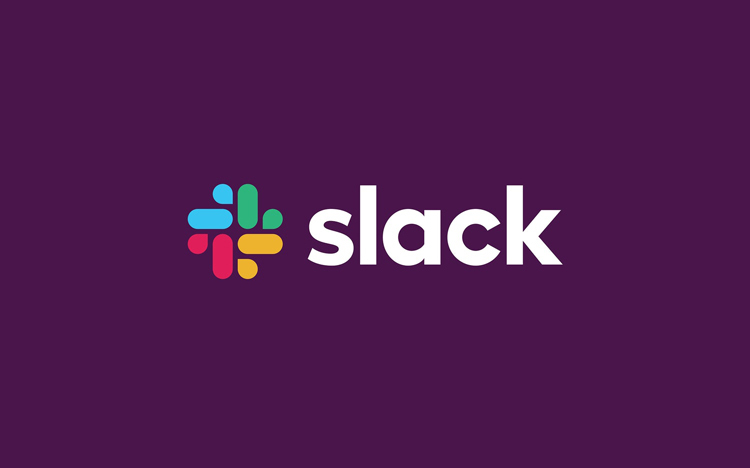 A fifth colour of aubergine purple, which is Slack’s signature, has been retained and will be used as an additional colour across communications, such as on the background of the Slack app icon. 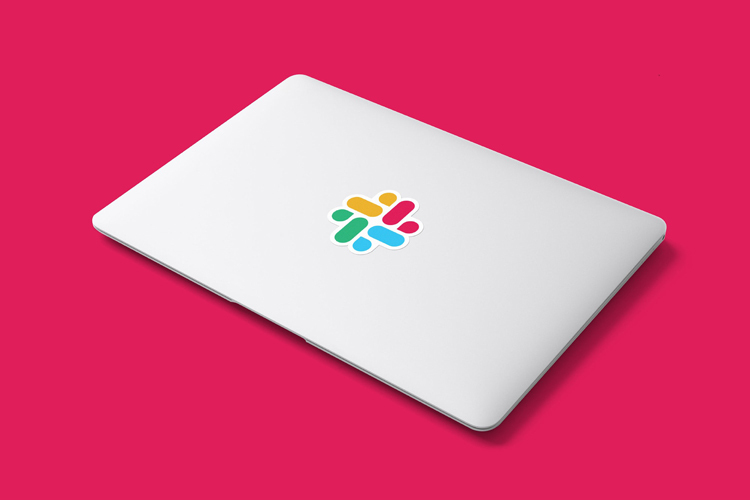 Slack’s in-house design team says that the new brand aims to create a more “cohesive” look, which is “simpler and more refined” but still retains the “spirit of the original”. 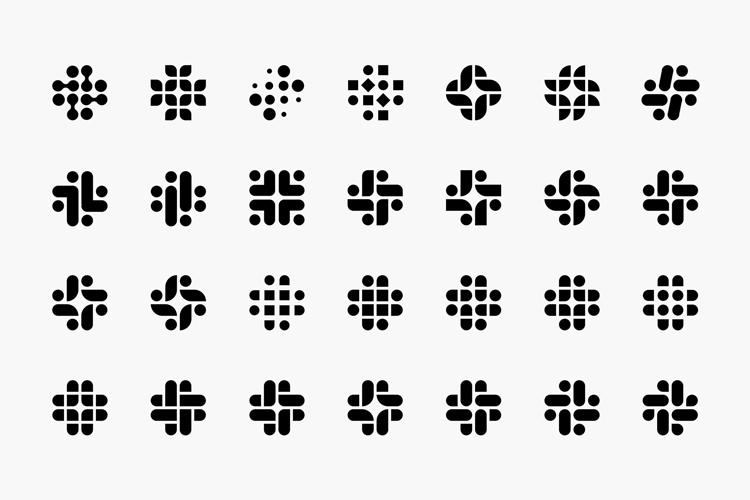 “The old logo was extremely easy to get wrong,” the Slack team says. “It was 11 different colours and if placed on any colour other than white or at the wrong angle, it looked terrible. “The new logo is an evolution and one that can scale easily and work better, in many more places,” they say. 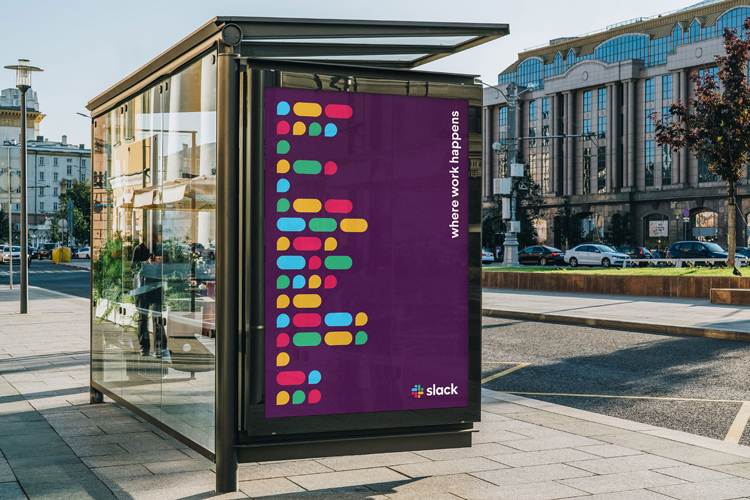 The new Slack brand will roll out over the next few months across all touchpoints including the website, print and online advertising materials, app icons and within the software itself. Look out for Design Week’s in-depth interview with Bierut on the rebrand, which will be out next week. Iterations of how Pentagram considered transforming the hashtag shape.